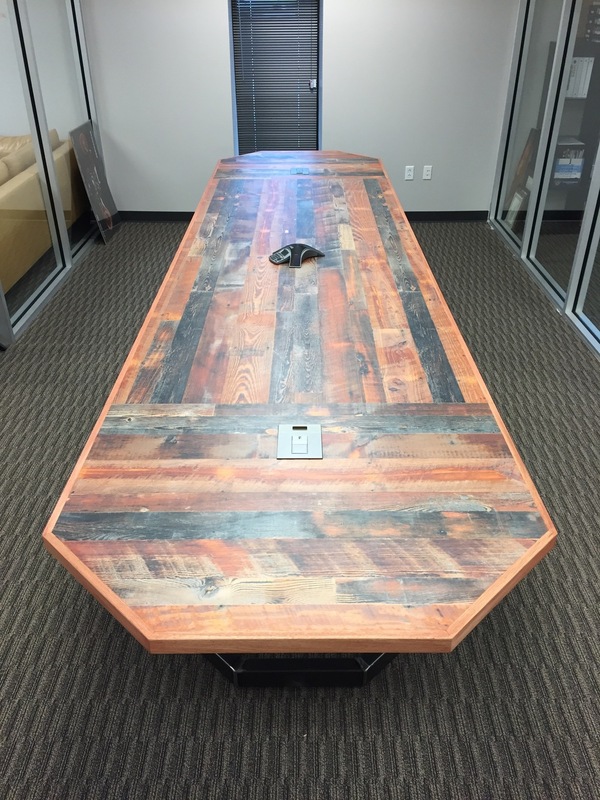 This was a 16 foot custom conference table done for the new corporate office of a TX powersports company. 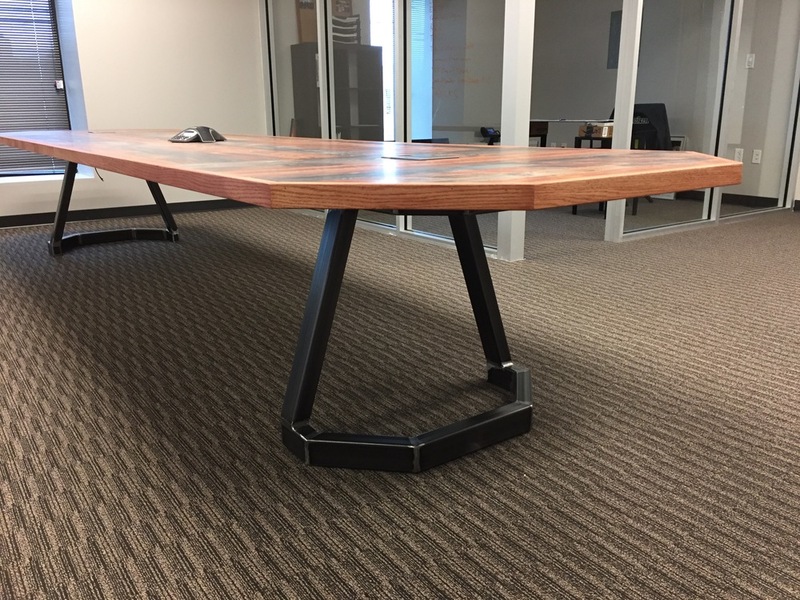 It's a rustic design with a Wilsonart laminate top with real oak edging, and it sits on a custom steel tube base. 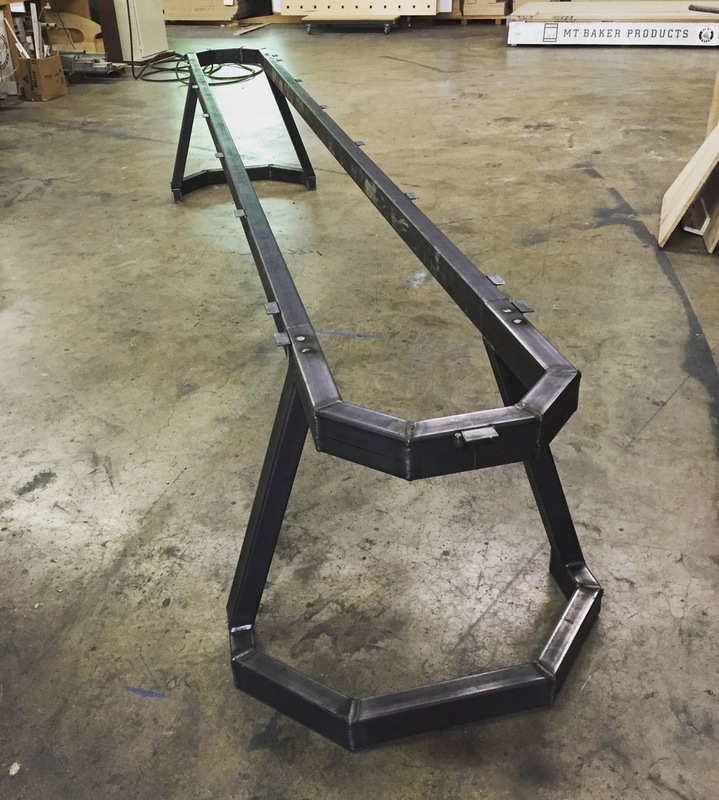 The base was fabricated from welded 2"x3" steel tube, the welds were ground flat, then it was clear-coated for a raw steel look. 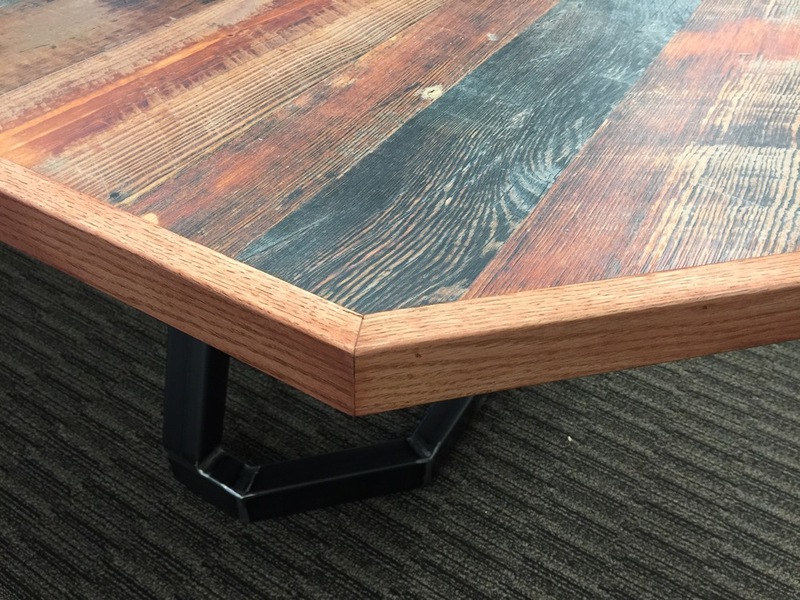 The 1-1/2" thick table top has three sections as does the base, allowing for relatively easy transport and set-up. The steel base forms a skirt underneath that hides the power harness that provides power to the table top. 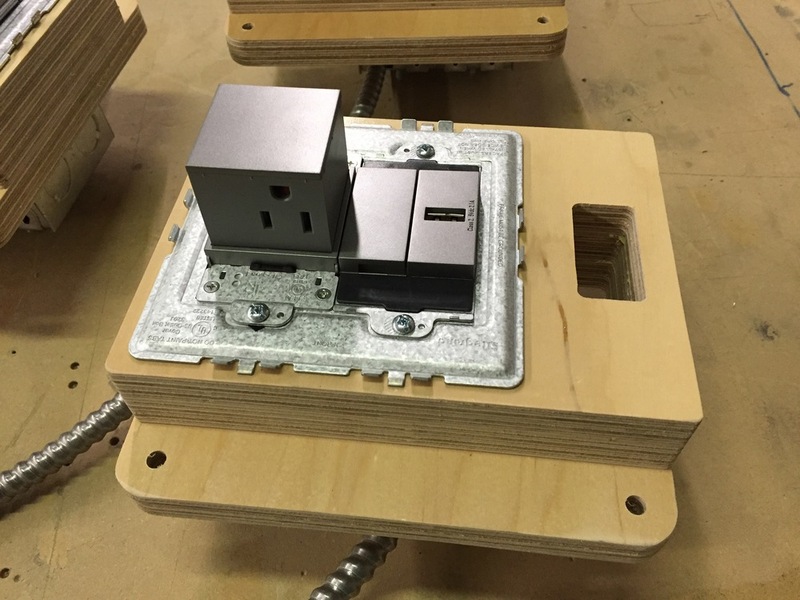 There are three sets of 110v outlets and USB ports with a very low profile pop-up design for the 110v outlets, plus a cable grommet next to each outlet to allow other cords to be fed through the table top. The harness is separate from the table and the modules simply slip up from underneath, making it easy to remove and reconfigure the modules as needs change.